UK's Dr. Craig van Horne explains impact of deep brain stimulation. LEXINGTON, Ky. (Dec. 18, 2017) — Last summer, a group from the University of Kentucky Brain Restoration center, led by Dr. Craig van Horne, professor of neurosurgery, capped off a series of conferences held at a number of renowned Chinese university hospitals by performing the first-ever deep brain stimulation surgery for a Parkinson’s disease patient being treated at The First Affiliated Hospital of Zhengzhou University in Henan, China. 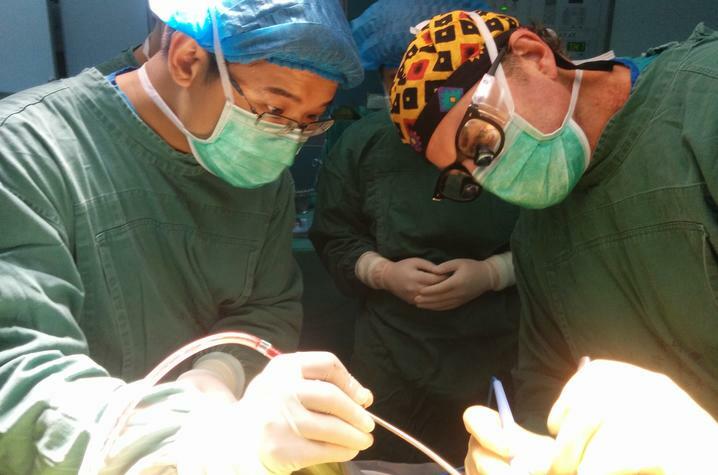 The UK group visited the Zhengzhou Hospital a day after the surgery to check on the patient. The surgery’s outcome was successful; the patient was able to walk and move more fluidly, and was released from the hospital a few days later. 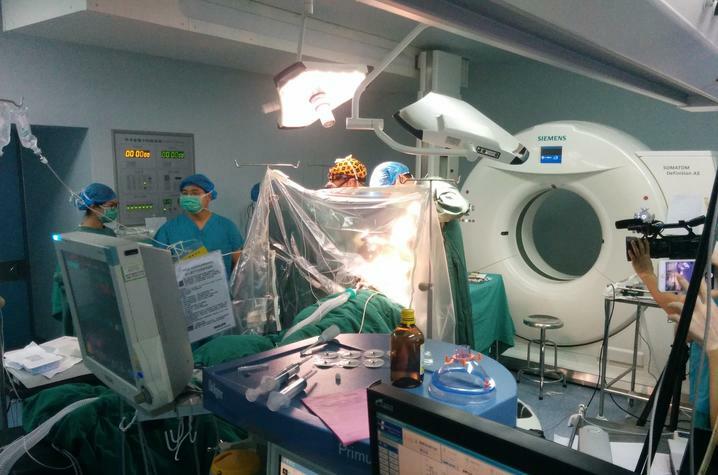 This surgery set a precedent for many DBS surgeries to follow at the Chinese facility. 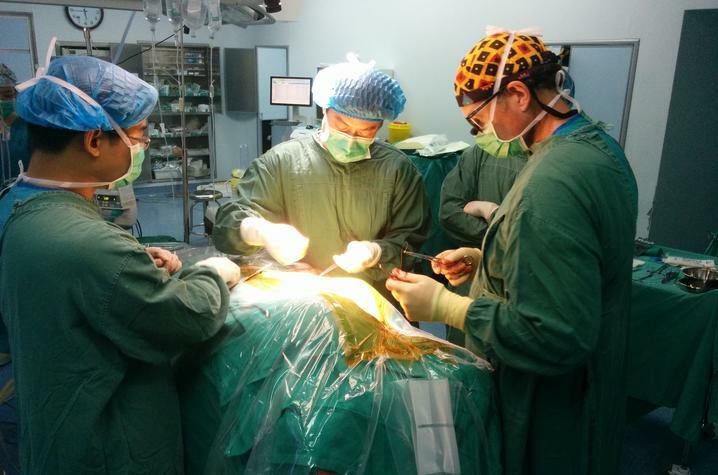 The DBS program at The First Affiliated Hospital of Zhengzhou University has since grown and DBS surgeries are now much more common. As a whole, the process highlighted a newfound optimism and cooperative spirit in tackling a source of symptoms for Parkinson's patients. This landmark surgery was one major component of UK’s participation in Central China's inaugural Sino-U.S. Neuromodulation Forum held at Zhengzhou University’s First Affiliated Hospital. The forum provided a rare opportunity for researchers, surgeons and others in the medical field from China and the United States to share their experiences through presentations and meetings that specifically explored DBS and neuromodulation. It also facilitated a deeper understanding of Parkinson’s disease from the patient’s perspective: among the group of UK medical professionals who made the trip was Ann Hanley, a person with Parkinson’s disease. In these conferences she not only shared her personal struggles in conquering obstacles presented by Parkinson’s disease, but also inspired doctors in this field through her creation of a research fund for Parkinson’s. "Because diseases have worldwide impact, seeing medicine from another country’s angle is not only eye-opening, but immensely valuable,” he said.